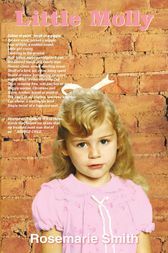 This is a true story of Molly, who by the age of four had suffered so many beatings and experienced so much sexual abuse that she suffered from an enormous fear of human contact. In a period of six years among a family of twelve only her abusers themselves were aware of her constant pain and suffering. Her other siblings, her father and her mother knew nothing until it was too late, and even then they found it difficult to accept that it happened in and around the house where they lived.